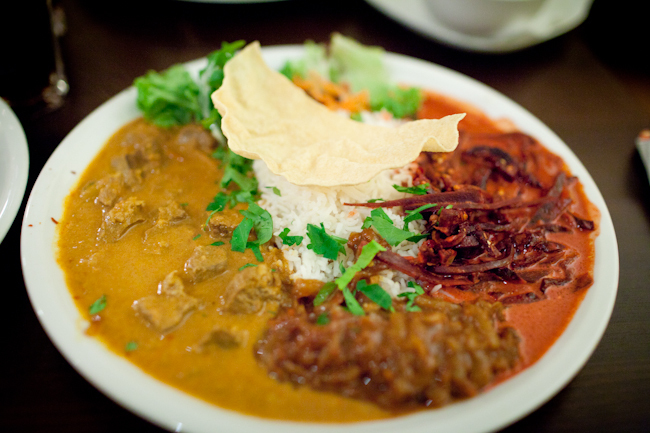 Sigiriya: The Best Curry in Berlin? The search for Berlin’s best curry is finally over. I say “best”, but you could probably substitute the words “only” and “edible”, as the low quality of the city’s Indian food is something you can’t truly appreciate until you’ve tasted it for yourself. Sure, we’ve found decent tandoori, but actual curry, with strong distinctive flavour and – more importantly – plenty of spice, has so far eluded us. 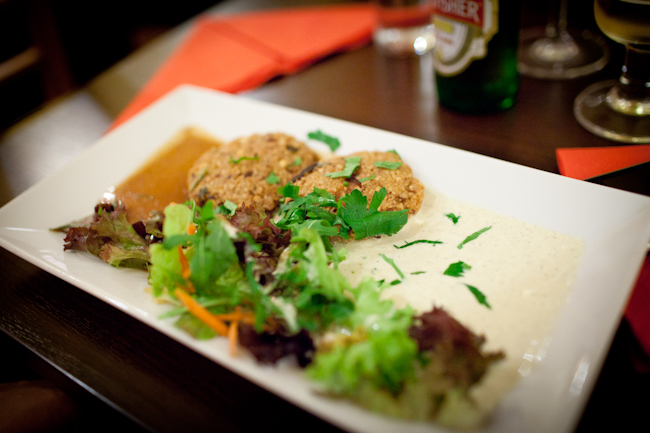 Until we read this post on Footprints in Berlin, and followed their recommendation to Sigiriya in Freidrichshain. Sigiriya serves Sri Lankan, so nothing like what you’ve tasted on Brick Lane or in Bradford, but the deconstructed dishes with multiple sauces, heavy on the coconut, are certainly tasty enough. Even though I asked for the hottest thing on the menu, and then asked for it even hotter, it was Zoë who got something too scharf to handle. The lamb curry spiced with cinnamon and garlic, with sweet/sharp beetroot is the hottest thing I’ve tasted in Berlin – which is a Very Good Thing Indeed. Go check it out, and let us know what you think; and if you’ve found somewhere even better, we’d love to hear about it! We just tried it and loved it – thanks for the recommendation! We are by no means experts, but as fellow seekers of spice we were pleased when our faces turned red and we proceeded to sweat in subzero January temperatures. Delightful! My favorite was always the Chennai in Charlottenburg (mostly because it’s only 5 minutes from my home).